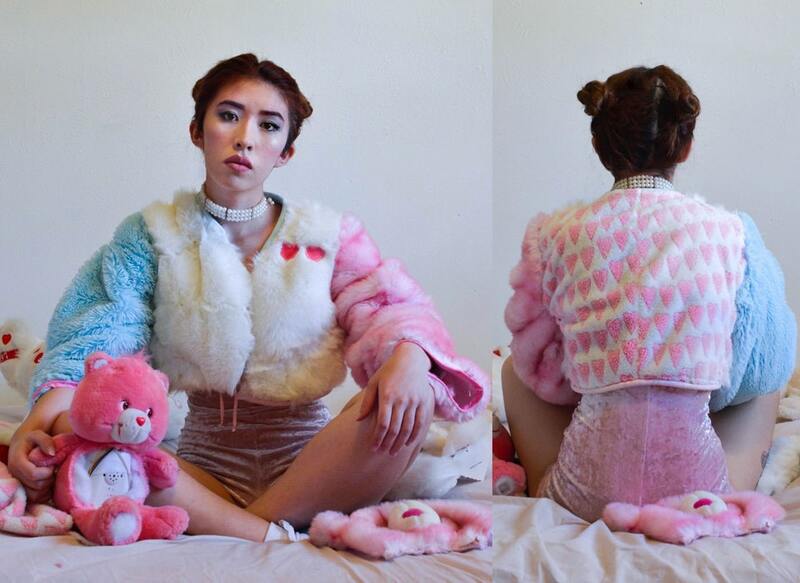 Textile Artist Turns Stuffed Animals Into Cruelty-Free Jacket — Most Prominent Co. | Blog - Most Prominent Co. The stuffed animal skins are stitched directly to a shirt rather than traditional inner lining. In a Reddit comment, Maya mentions, "I find that using the shirt is a good hack for when you are just making a jacket for yourself! It saves time and is very effective." She notes this jacket to be just for fashion and not functional for warmth. So if you ever thought about cutting up your old teddy bears on a cold winter's night to stay cozy, think again. For the large areas of the jacket, Maya used large teddy bears but also had to strategically piece smaller bits of fur together. She was careful enough to ensure the fur nap went in the right direction. Maya kept parts of the stuffed teddies in tacked though, take a closer look at the blue sleeve and you'll see a black beaded eyeball from its past life as a pillow pet.